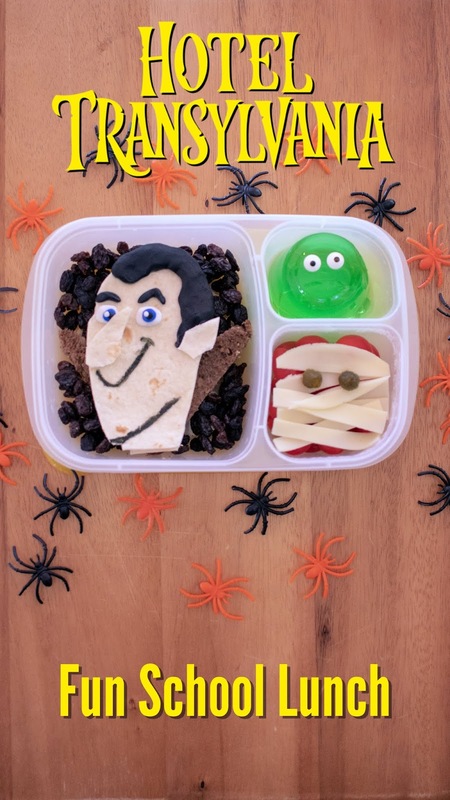 Ingredients: Flour tortillas, sliced cheese, sliced turkey (or other sandwich filling), whole wheat bread, raisins, fondant, black food coloring marker, grape tomatoes, pickle, green jello, candy googly eyes. 1. Cut flour tortilla in the shape of Drac's head. Use the first tortilla as a guide to cut a second one. Layer cheese and meat on top of tortilla and top with second tortilla. 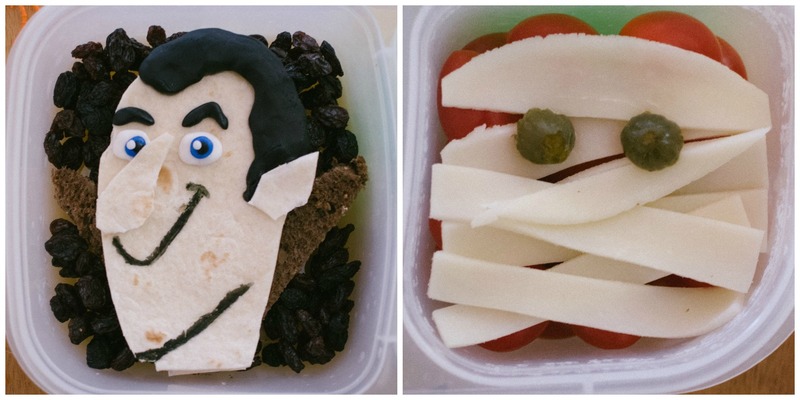 Use tortilla scraps to make Drac's nose and ear. 2. 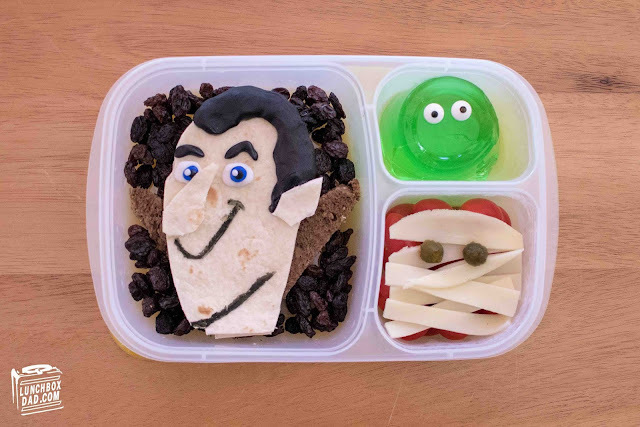 Form fondant in the shape of Drac's hair, eyebrows, and eyes. Place on head and draw mouth and neckline with food coloring marker. 3. Cut whole wheat bread into a triangle. Place in main compartment of lunchbox. Surround with raisins and top with Drac's head. 4. Drop grape tomatoes in side compartment. Cut white cheese into strips and arrange like mummy cloths. Top with pieces of pickle to make Murray the Mummy. The pickle pieces can be held in place with toothpick if desired. 5. Spoon Jello into second side compartment. Stick on candy googly eyes to make Blobby.